He set about building a simple software application that can solve this problem. His app that relieves freelancers and small business owners of these tedious tasks. The rest, as they say, is history. Today, over 10 million people are using FreshBooks. They are managing their invoicing, payments, and time tracking tasks. Time Saved – You should save an average of 16 hours a month. That’s about a half day every week. 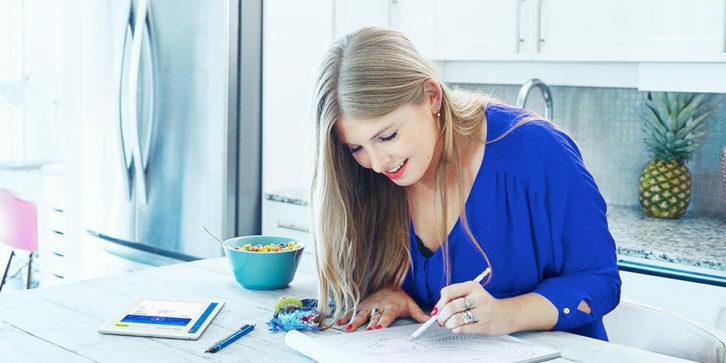 FreshBooks organizes your invoices and saves you the trouble of emailing them. It also sends the reminders when necessary, to your clients – saving you the trouble. You’ll Look More Professional. Clients prefer to receive well structured and professional invoices. As a result, they will assume that you go about your work in a disciplined, highly professional manner. It takes but a minimal effort on your part to make a genuinely positive impression. You Get Award-Winning Service. Your clients will be impressed with the services you provide. But that’s not it! You’ll be impressed with the award-winning customer service you receive. FreshBooks is oh-so-easy to use. But should you have a question, the customer service staff stands ready to help – every step of the way. What’s the Past Tense for Stressed Out? Have you ever seen a stress bomb go off? It can be messy. Almost as soon as you start using FreshBooks, that huge stress bomb will simply evaporate. That happens when everything is organized and automated for you. FreshBooks was designed with legal and ethical issues in mind. It wasn’t designed to help you avoid your responsibilities as a tax payer. It will be a tremendous help however by keeping track of every expense and every cent earned. You won’t make mistakes that could get you in trouble or cause you to pay more taxes than are required. Proposals. You don’t need extra software to help you create proposals for clients and. FreshBooks will do that for you. It takes care of the style and formatting. It also gives your proposal outline, scope, and deliverable timeline a professional look. In addition, it will reduce wasted time on your part. Managing Expenses – All your expenses will be neatly organized and stored in a file. You can dispense with the envelopes and boxes you stored your expense information in. 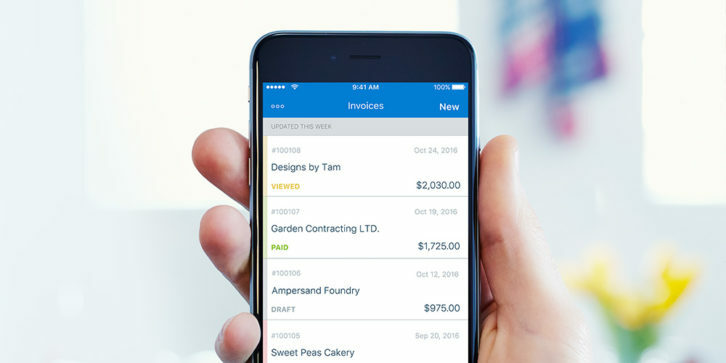 FreshBooks’ iOS app allows you to use your phone to take photos of receipts to add to your expense file. Customizable Invoices. Avoid the extremes of submitting bland, carbon-copy invoices to clients. Choose a template, add your logo, and select your colors and fonts. Then, establish your payment terms and hit “Send”. It will take about 30 seconds to do so. Your invoices will be professional looking, and they will match your brand. More and more people prefer paying with a debit or credit card these days as opposed to writing checks. Why not accommodate them by allowing FreshBooks to handle those payments. It’s quick and easy, it saves you waiting time, and your clients will love it. You don’t need to invest in another software app for your time tracking needs either. Just let FreshBooks show you how much time a task takes. It will show the billing amount to place on the invoice, and give you an insight into your productivity. You could use a hand calculator, of course. 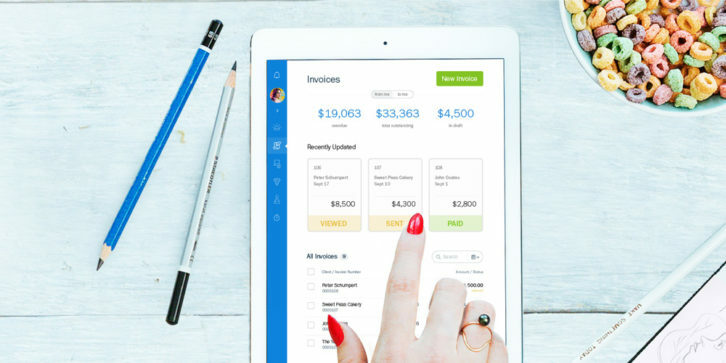 Yet, FreshBooks calculates the sales taxes due on your invoices in a millisecond. Moreover, it never makes a mistake, and it keeps a record. Summary information can be produced with a click. Project Management. 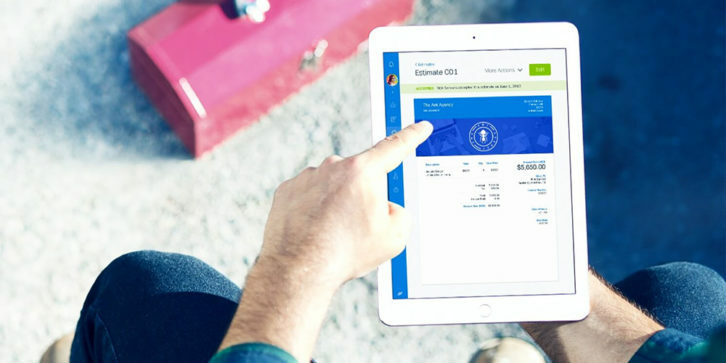 FreshBooks’ new Project feature provides a file-sharing capability. It ensures that your conversations with clients and employees are kept in one place. and that your files and messages can easily be shared so your team is kept in the loop and up to date. The best answer to that is simply to give it a try. You can do so for free. It takes but a few minutes to set everything up. You can adjust your invoices accordingly, and let FreshBooks do the rest. It won’t take long for you to convince yourself that FreshBooks will save you a ton of time. You can delegate fiscal record organizing, sending invoices and payment reminders to Freshbooks. It will make your work life easier in more ways than one.